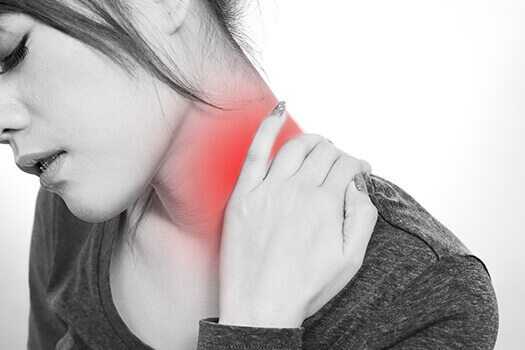 How Does Soft Tissue Damage Cause Neck Strain? A strain occurs when a muscle is overstretched repeatedly. Strains can affect any muscle, but it’s usually something that happens more often in the neck. The resulting soft tissue damage, while often painful and distracting, is usually only a temporary inconvenience that goes away with conservative treatments. If you have a better understanding of what causes the soft tissue damage that leads to neck strain, you may be able to take steps to minimize your risk of experiencing the resulting discomfort. When ligaments (short, thick bands of connecting tissue) and tendons (flexible tissues attaching to bones) become over-stretched, normal neck movements can become painful. Ligament injuries are technically referred to as “sprains,” but the type of discomfort usually felt is the same with any soft tissue damage. The resulting pain also comes from the inflammation that occurs within these soft tissues after they’ve been excessively stretched or strained. The inflammation can make neck pain worse if nearby nerve roots become affected by the tissue swelling, especially if it occurs around neck joints. Referred to as cervical facet syndrome, pain related to the flexible neck joints sometimes causes inflammation if the joints become damaged by injury or chronic conditions like osteoarthritis. When soft tissues become affected by swelling, soreness and stiffness may be felt with normal neck movements. A cervical steroid injection placed directly into affected tissues may help manage this type of neck pain by relieving nerve pressure. Treatment for neck strain usually includes a combination of initial rest following the onset of pain, alternating hot and cold applications, over-the-counter medications, and gentle neck stretches to strengthen muscles and ease stiffness. Neck surgery is rarely necessary. Preventative steps you can take include sleeping on a single pillow to keep your neck and spine aligned as much as possible and being mindful of how often you look down while texting, browsing, or gaming on your various devices. To learn more about the causes of neck strain and how to prevent it, reach out to the staff at The Spine Institute in Beverly Hills. We specialize in a wide variety of fusion procedures and spinal fusion alternatives. Beverly Hills residents trust in Dr. Hyun Bae and his team to diagnose the source of their pain and help them find relief. If you’d like to schedule an in-person evaluation, please call our office today at 310-828-7757.